This tutorial will show you how to solve the duplicated menu title issue while creating a Text Separator menu item. The issue may happen when you need to create a non-clickable menu item (text separator). 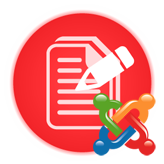 Log into your Joomla admin panel. Go to Menus, then open a menu you need. Click Add New. Select Text Separator menu item type. To fix this issue, go to your Filemanager and open /modules/mod_superfish_menu/tmpl/default_separator.php file. Also, you can just replace your default_separator.php file with the already edtied one: download. Thank you for watching our tutorial. Now you know how to solve the duplicated menu item issue after creating a text separator menu item. This entry was posted in Joomla! 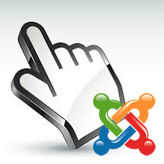 Tutorials and tagged duplicated, joomla, menu, separator, troubleshooter. Bookmark the permalink.